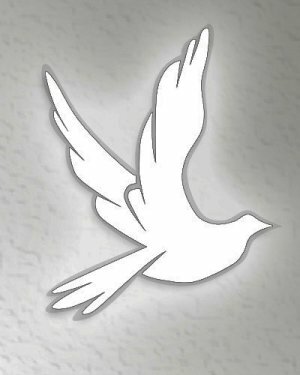 Ronald J. Blisard, 75, of Nesquehoning, entered into eternal on Thursday at the Hometown Nursing Center in Tamaqua. He was the husband of Judy Mooney Blisard. Born in New York City, he was the son of the late John and Margaret (Kovatch) Blisard. Ronald worked for many years for the former Kovatch Corporation, now KME, in Nesquehoning, and before retiring was the Human Resource Manager. He was also a former Nesquehoning Police Officer. He was of the Catholic Faith. Ron’s passion in life was volunteering, and for 40 years served in a variety of positions in many organizations and boards, such as the Carbon County Partners for Progress, Manufacturers Assoc. of Mid-Eastern PA, the PA State Pocono Counties Workforce Investment Board, Carbon County Employer Advisory Council, Lehigh-Carbon Community College Board of Ambassadors, Northeast PA Regional Health Care Coalition, Past-President of the Nesquehoning Ambulance Corps, Nesquehoning Hose Co. #1, Carbon County Red Cross, Carbon County United Way, Miner’s Memorial Hospital Board of Directors, Gnaden Huetten Memorial Hospital Board of Directors, and a U.S. Selective Services Regional Board Member. Ron was also honored as a recipient of the Mauch Chunk Trust Company’s Community Hero’s award in 2004, recognizing his service to the community. Surviving in addition to his wife Judy are sons Ron and wife Karen of Nesquehoning, Robert and wife Jamie of Albrightsville, Stepsons Seth and wife Ann Mooney and Scott Mooney, both of Sarasota FL., a brother Larry and wife Roseanne Blisard of Nesquehoning, grandsons Luke and Robert II Blisard and step-grandchildren Mo and Mikey Mooney. Funeral services will be held on Sunday evening at 7:30 p.m. at the Bruce A. Nalesnik Funeral Home 57 West Center St., Nesquehoning PA, with the Rev. Vasyl Chepelskyy officiating. Interment will be private. Calling hours will be held at the Funeral Home on Sunday from 5:00-8:00 p.m. Contributions may be made to the American Cancer Society, c/o the Funeral Home. Online condolences may be expressed at www.nalesnikfh.com. Services and arrangements are being provided by the Bruce A. Nalesnik Funeral Home 57 West Center St., Nesquehoning PA 18240.